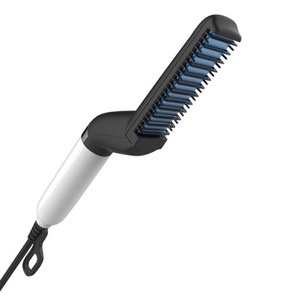 Ceramic heated plates surround individual ionic bristles that simultaneously section and straighten as they glide down the hair. Our Principle is offering the best products and services to each of our customers. Showing you the real production line and professional quality test team. 3. Comparison of traditional hair straightener, it has the advantage of subversion. 1) More simple and faster than traditional hair straightener in operation. 4. 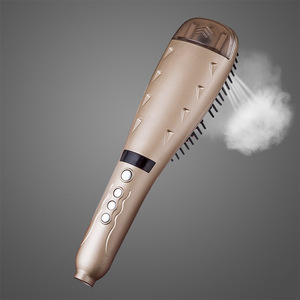 Compared with the traditional hair straightener, it will not easy to damage the hair. More than 20 Styles hair straightener comb in our factory for your choice, welcome to send rapid inquiry for getting detailed catalogue . 2. 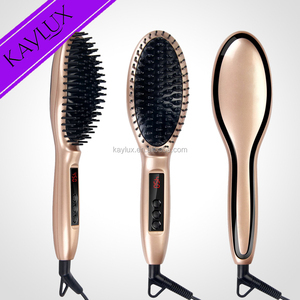 Built-in ionic generator into bristles gives you significantly more shine and less frizz, leaving your hair silky and lustrous! With our own factory and advanced R&D department, Menarda combines research and development, manufacture, brand promotion of product as one. 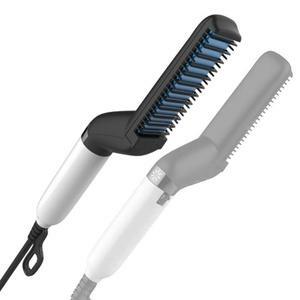 Features: 1.Professional Ceramic coated plate Hair Straightener 2. Ceramic plate:for improved condition and shine 3. Long plate for both straightener and curly and wavy hair 4. PTC heater,fast heat up 5. Adjustable temperature:100-230C/(450F) 6. 2.0M swivel power cord 7. Voltage:110-240V /50-60 Hz 8. Power:35-45W 9. Certificate:CE approval Packaging & Shipping Packaging Details: Each machin in a colorful gift box. And then into a 5 layer export carton Delivery Detail: Within 7 days for stock machines after payment confirmed. For OEM order or without stock, it is about 25-30 days after down payment. 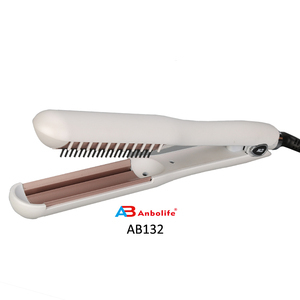 12 YRS Kingwin Salon Equipment Co., Ltd.
Alibaba.com offers 9,637 hair straightening comb products. About 59% of these are hair straightener, 21% are comb, and 1% are hair combs. A wide variety of hair straightening comb options are available to you, such as ceramic, aluminum, and ceramic coating. You can also choose from lcd, led. As well as from common comb, electric, and comb. And whether hair straightening comb is travel, home, or salon. 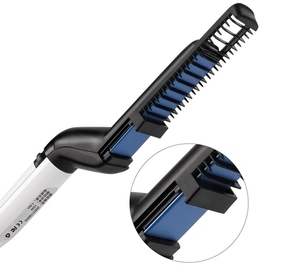 There are 9,637 hair straightening comb suppliers, mainly located in Asia. The top supplying country is China (Mainland), which supply 100% of hair straightening comb respectively. 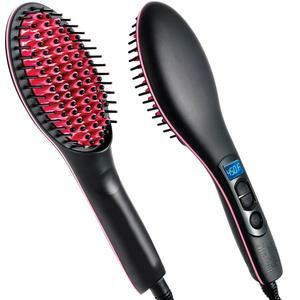 Hair straightening comb products are most popular in North America, Western Europe, and Domestic Market. You can ensure product safety by selecting from certified suppliers, including 1,502 with ISO9001, 299 with BSCI, and 196 with Other certification.